You'll be transported away to world of peace and tranquility as you color in these beautiful mandalas. Each of Zaheera's 30 designs are highly detailed, so you'll probably want your fine-point pens or pencils as you fill in the gorgeous designs. The bold outlines look great with bright colors and allow for coloring in whole sections at a time, it you want a change from coloring each individual space. 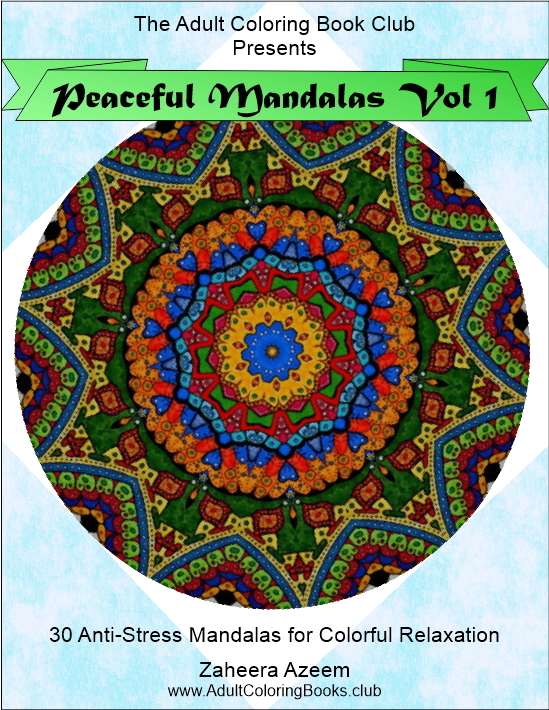 There are so many interesting patterns within each mandala that you will find many creative ways to color them in. This is a printable coloring book that you can download instantly and print out at home (or at the office - we won't tell!). Printable page size is 8.5"x 11". Try printing on papers of different textures. They even look great on paper with light pastel colors, allowing you to highlight certain areas with brighter colors as you work on them. With our printable books, you can print as many copies of the pages that you like, so don't be afraid to experiment!